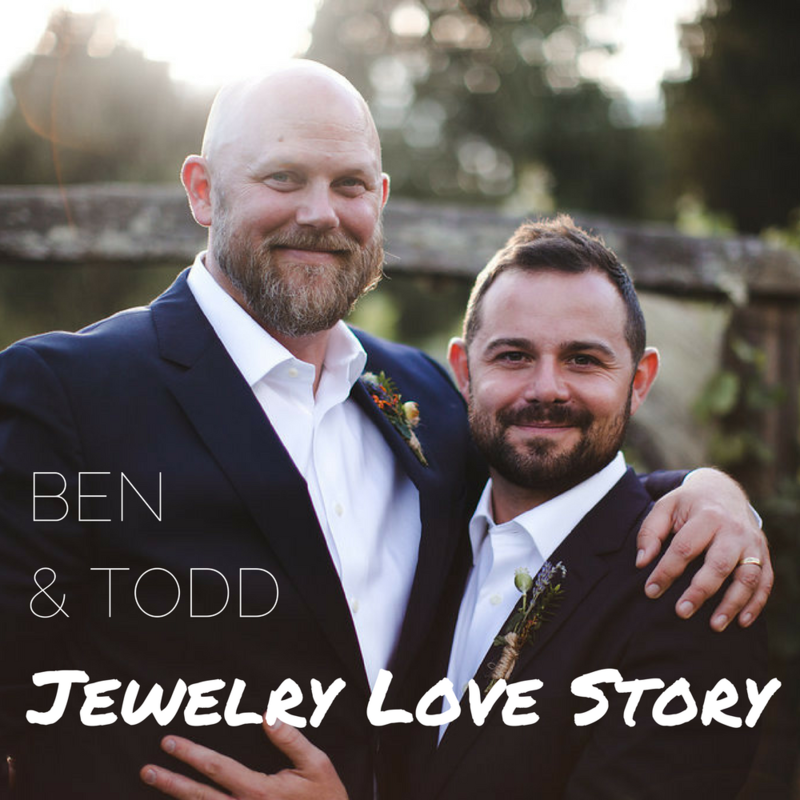 I met Ben and Todd last spring as they were preparing for their summer wedding. These guys are so sweet and funny, I wanted them to move in next door so we could be best friends. 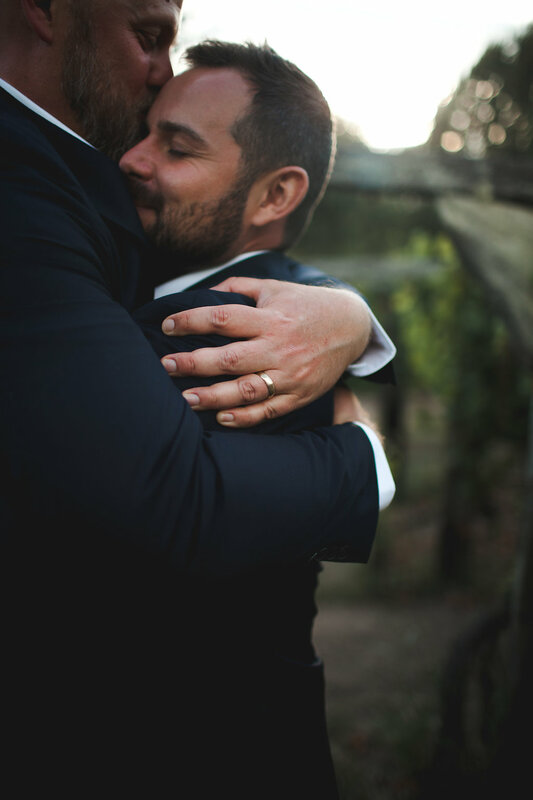 Even though at first they were separated by many miles, they two of them found a strong connection that eventually brought them both to the Bay Area where Todd is a therapist and Ben is an architect. 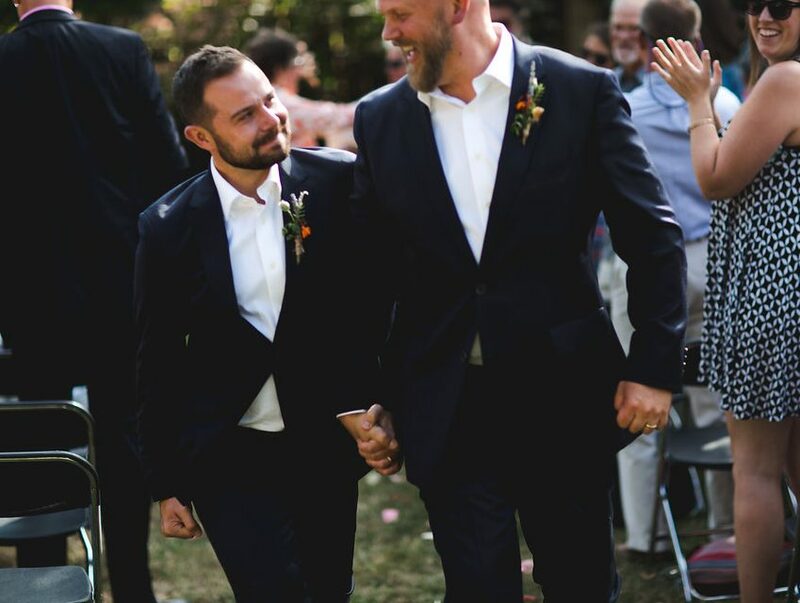 Their wedding took place last summer in Washington State. Enjoy their love story! 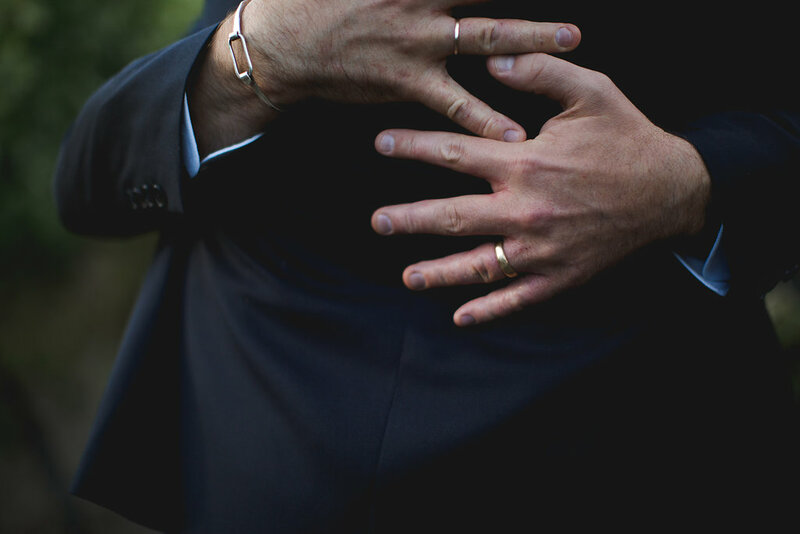 Wedding photos in this post are by the talented Micah Fischer of Portland, OR. Share a little bit about your love story with us. What gives you butterflies? Ben: We met online when we lived states apart. We then found out we had mutual friends in common. With their thumb’s up, we felt that we had a “green light” to explore something more seriously and Todd adventurously got on a plane to visit me in Portland OR. We held hands as we sipped coffees and walked through Portland’s Forest Park and we’ve been walking hand in hand ever since. You just got married! What is your next big adventure? Todd is finishing the last leg of his Doctorate degree and starting a private practice and I just started working as a freelance architect. Houses and babies to follow…! I believe love is best seen in the everyday things. What are your favorite daily or weekly rituals together? We have dinner together nearly every night where we catch up on our days and the state of our hearts. We walk the Berkeley Hills together. We snuggle! Tell us your drink of choice. Todd is a California wine guy and Ben prefers an IPA. 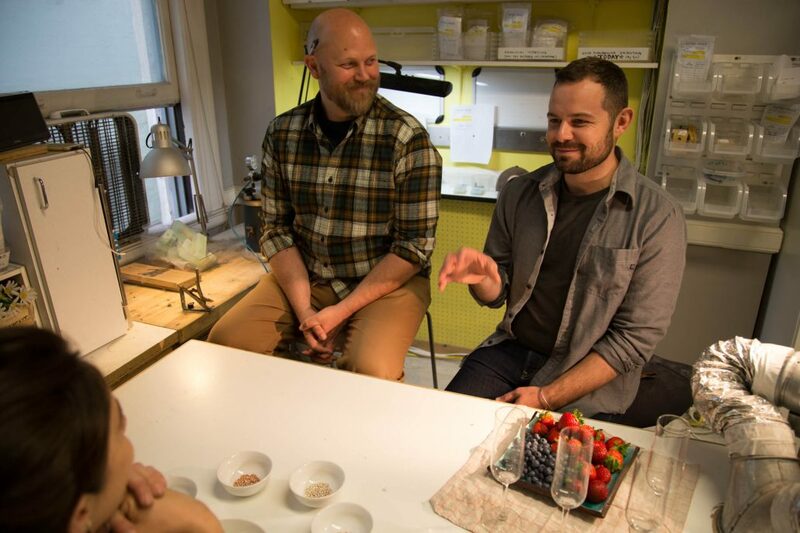 Before the wedding, Ben and Todd joined me for my Double Pour Casting Workshop. 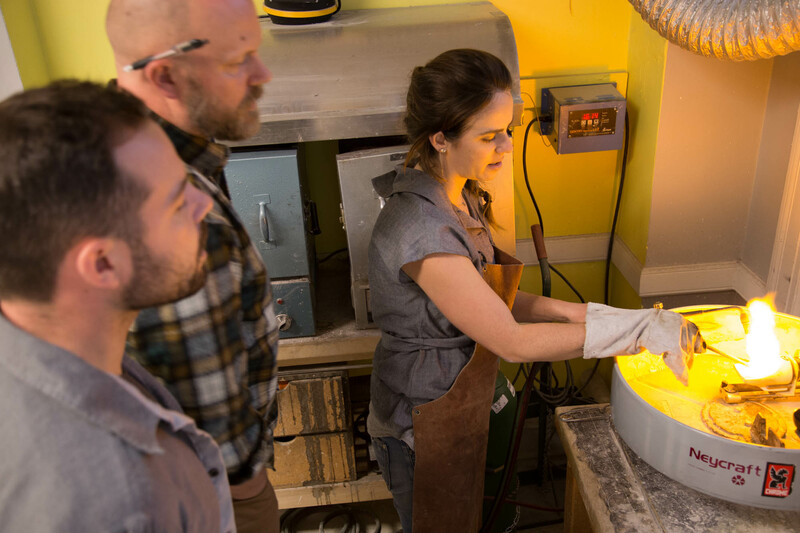 Jena, my casting artist, helped Ben and Todd alloy and cast the 18K gold for their matching wedding bands. What advice would you give to couples just starting to plan their wedding? What part was the most fun? The best advice I received was pick three things you really care about and want to be perfect. Focus on those things. Let everything else go. I took that to heart and focused on a meaningful ceremony, great food and fun music. In the end, it was a terrific party – more than I ever could have hoped for. My own advice would be to pause and breathe – it goes by in a whirlwind! Enjoy every moment. I hope you love your new rings. Can you tell us why? They’re spectacular! The fit, feeling, and look of them is perfect. Thank you so much!